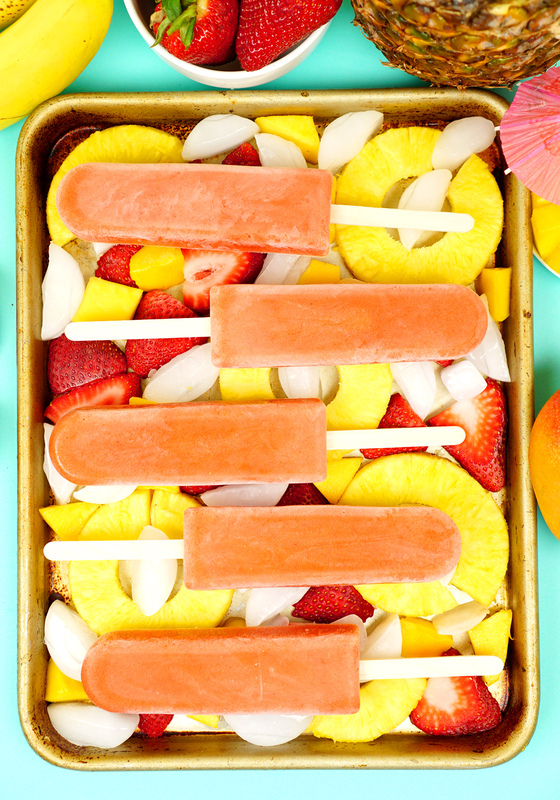 These healthy Tropical Smoothie Fruit Pops are your new summer favorite! Fresh, cool, and seriously refreshing, these all-natural frozen fruit bars have only 40 calories each, so you can feel good about indulging! Nothing says summer like an abundance of fresh juicy fruit, especially tropical fruits! 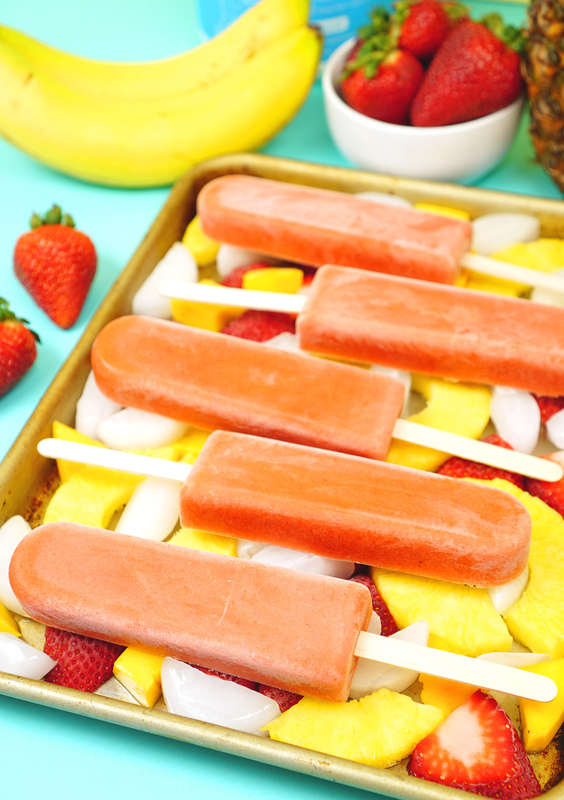 The combination of pineapple and mango is a well-loved family favorite, so to take full advantage of the flavors of the season, we whipped up this batch of delicious tropical smoothie pops. These frozen fruit bars taste like Heaven on a hot summer day and are packed full of good-for-you ingredients! 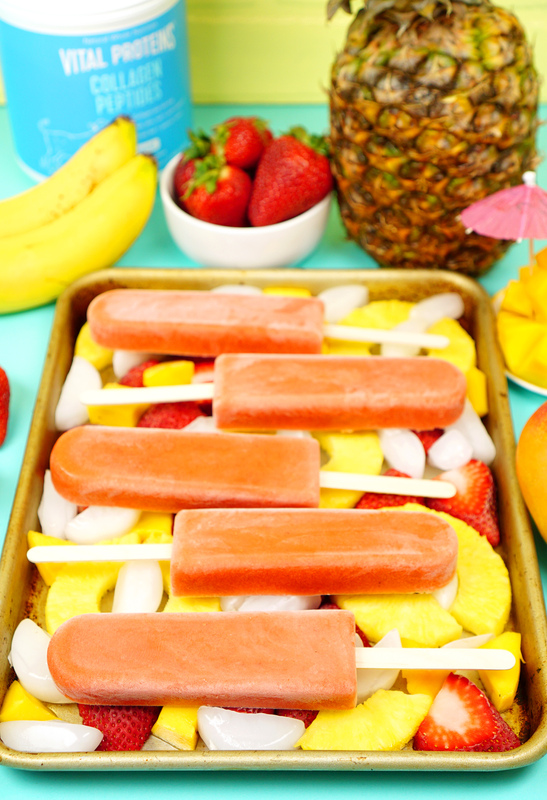 All that you need to make these incredible tropical fruit bars are bananas, mango, pineapple juice and chunks, and strawberries. 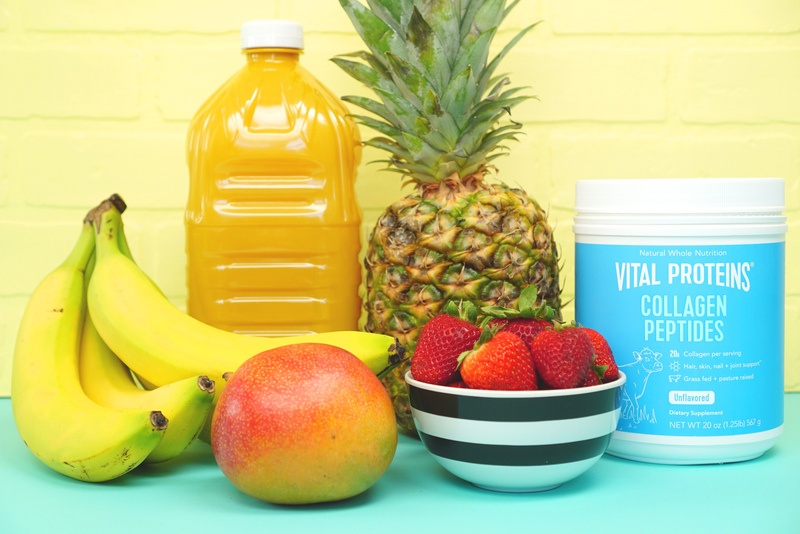 I also love adding Vital Proteins Collagen Peptides into our smoothie mix because it adds a ton of great health benefits, and it truly IS completely flavorless and odorless, so there’s no difference in taste or texture! 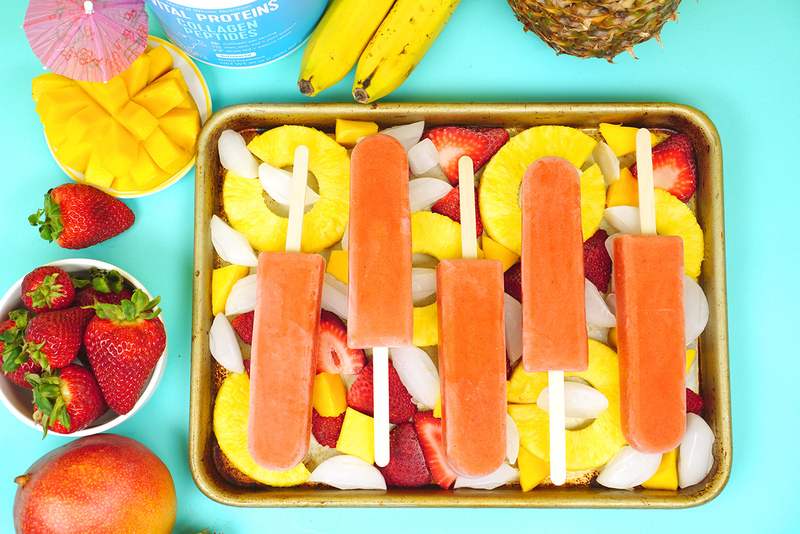 We made a huge batch of frozen fruit bars for our end-of-the-school-year celebration, but the recipe is easily scalable if you’d prefer to make a smaller amount. 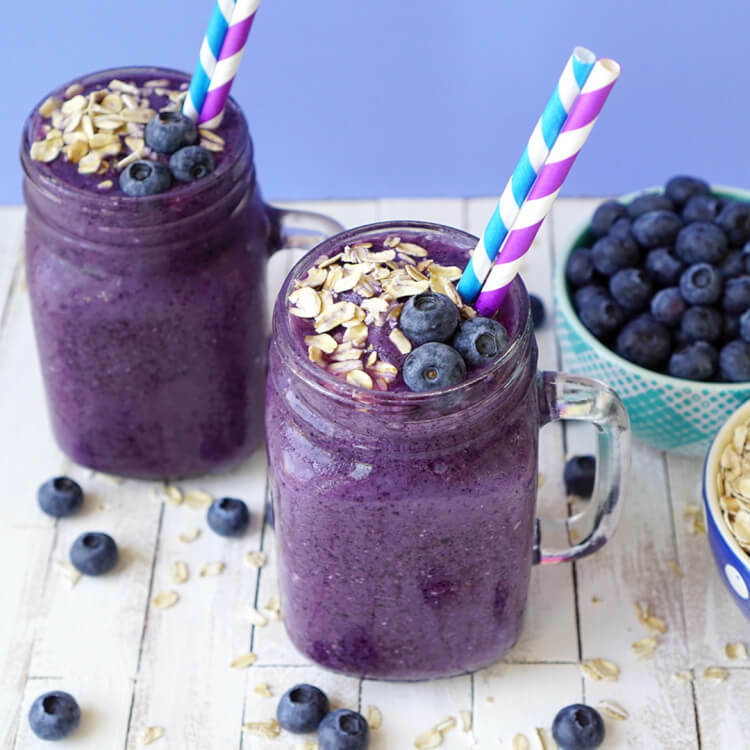 You can use fresh fruit or frozen in this recipe, but I prefer to use fresh fruit because it makes for a thinner smoothie, which is easier to pour into the popsicle molds than a thicker frozen smoothie would be. 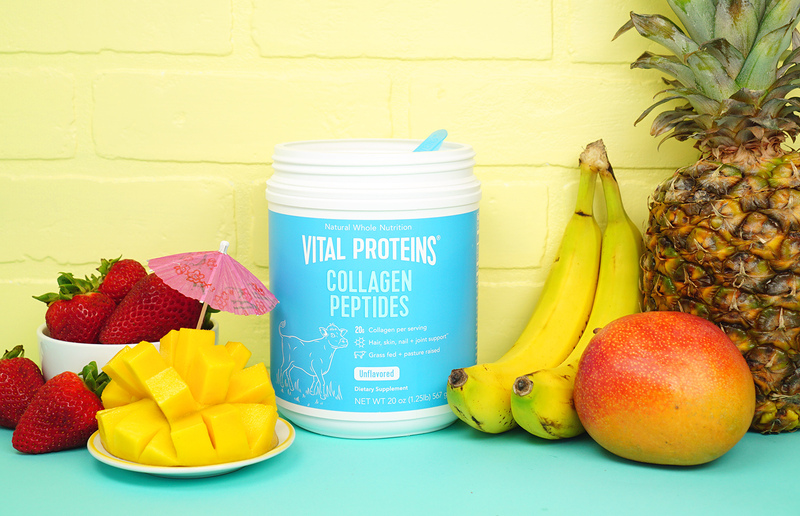 Adding Vital Proteins Collagen Peptides to the smoothie gives the frozen fruit bars all kinds of great health benefits including hair, skin, nail, and joint support. Collagen is an essential part of a healthy lifestyle, but our bodies cannot synthesize enough collagen on their own, and our diets today contain minimal collagen. 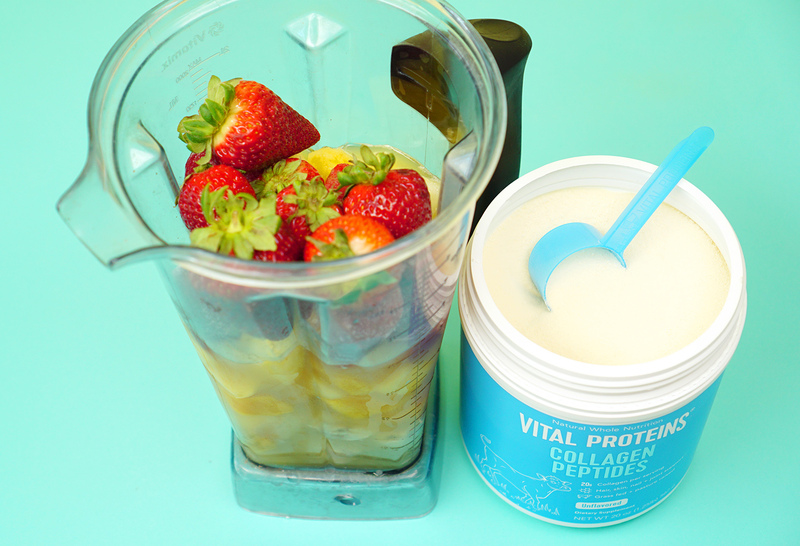 Adding Vital Proteins Collagen Peptides doesn’t add any flavor or change the texture whatsoever, and it can help contribute to glowing youthful skin, healthy bones and cartilage, joint health, improved digestion and gut health, and even deeper and more beneficial sleep**. 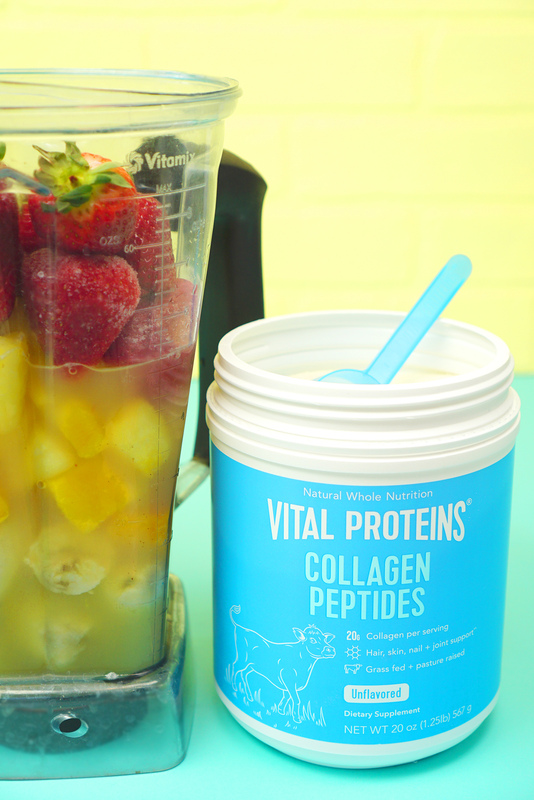 Unflavored Collagen Peptides are a total win-win, so I try to add them to as many things as possible! Oh, and adding those green strawberry tops to the smoothie also has added health benefits! Strawberry tops have been proven to help with joint pain and gastrointestinal issues – and they don’t change the flavor at all either! 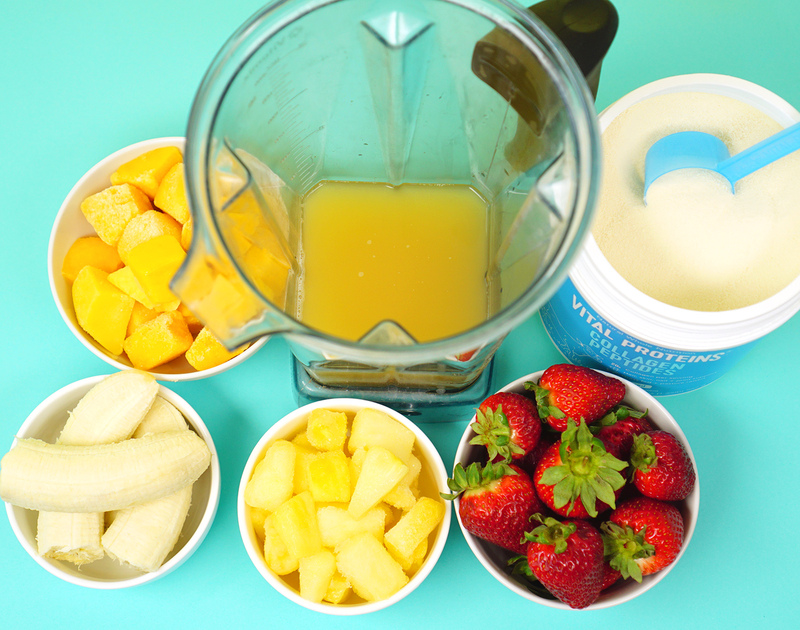 Blend all of the ingredients until everything is nice and smooth. I prefer to use silicone popsicle molds because the frozen fruit bars are super quick and easy to unmold when they’re ready to eat, but any of your favorite popsicle molds will work! 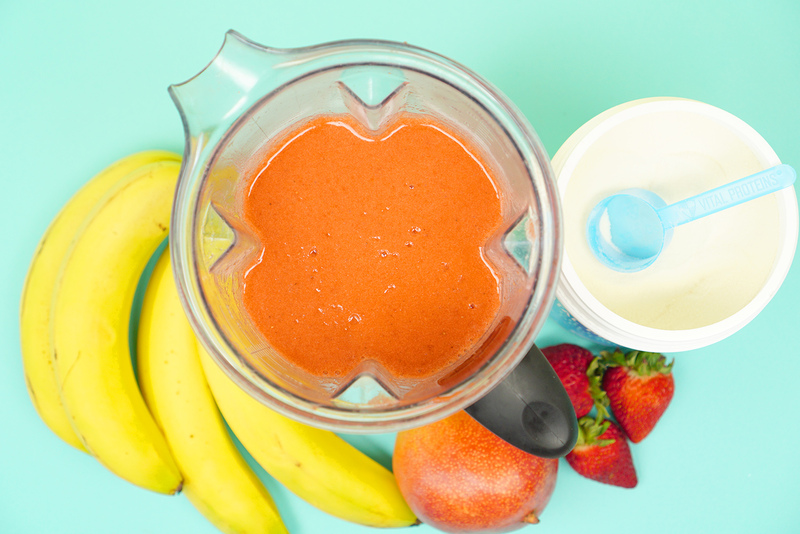 Pour the smoothie mix into the mold, leaving a little headroom for expansion, and freeze for 4 hours. My kids seriously can’t get enough of these, and I love that this recipe lends itself well to modifications so you can experiment with different flavor combinations. 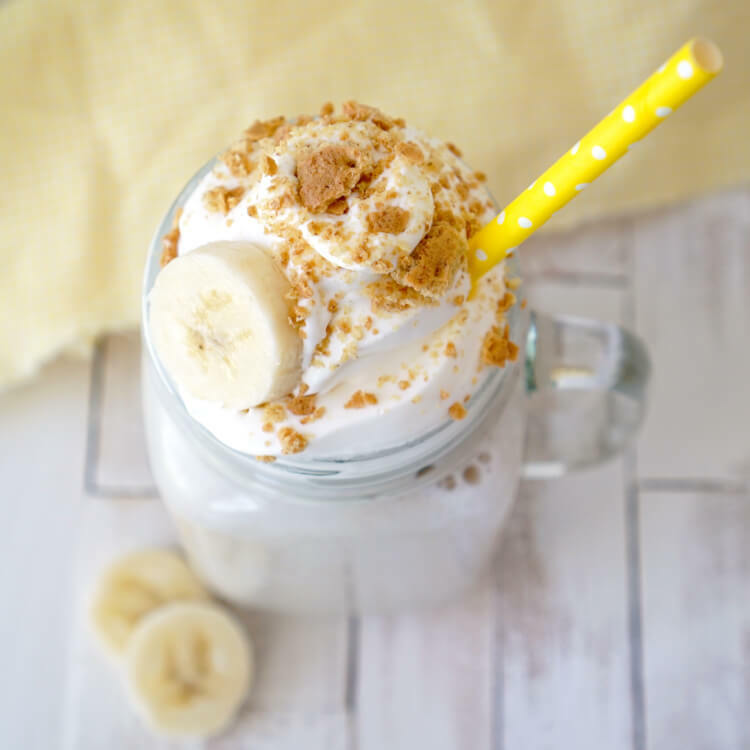 Next time, I think we’ll add a cup of Greek yogurt in place of some of the pineapple juice to make a creamy version! And I think coconut milk or water would be a yummy addition, too! I’m looking forward to playing around with this recipe all summer long! 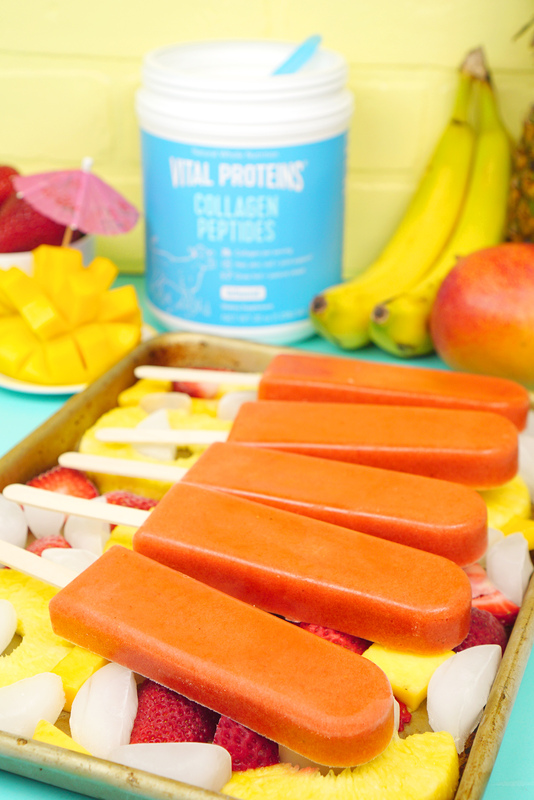 These dreamy tropical smoothie pops are amazingly delicious, and I love that they also have a nutritional boost from the collagen peptides that amps up the healthiness factor even further. 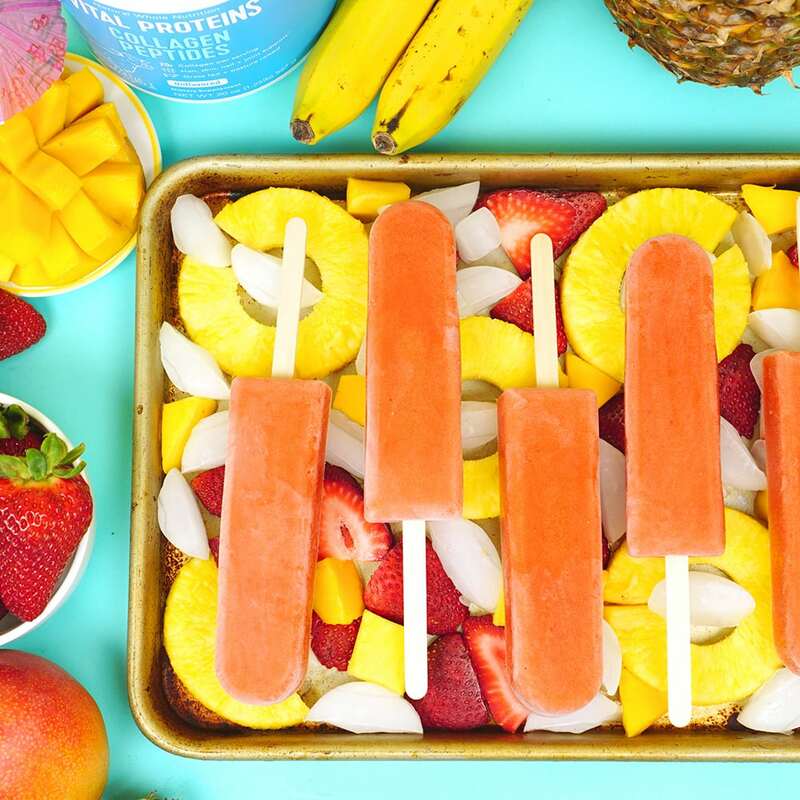 The recipe as shown below only contains 40 calories per frozen fruit bar, so you can indulge in these yummy treats all summer long without the guilt! Pour into popsicle molds and freeze for 4+ hours. Makes 20-24 tropical smoothie pops depending on the size of mold used. It’s so awesome that these simple fresh ingredients can combine into such an incredibly delicious summer treat! 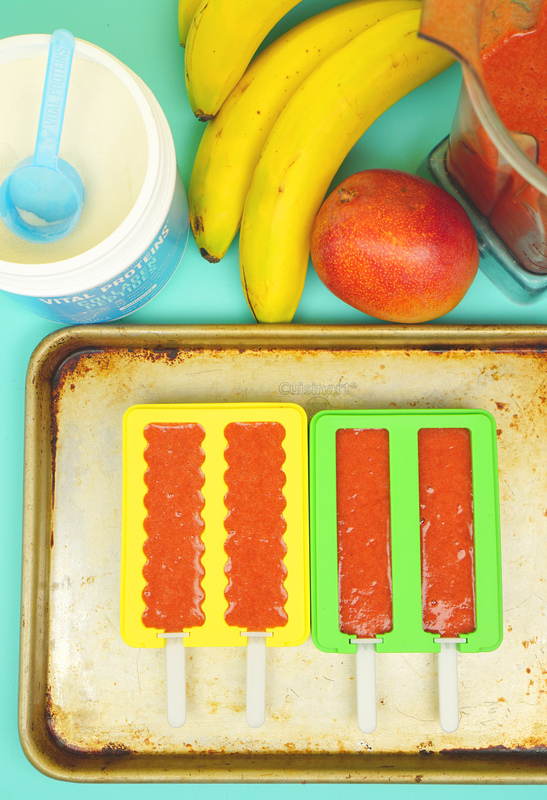 Pin these Tropical Smoothie Fruit Bars for Later!